Haven't seen the movie? Watch the whole movie and listen to rap music at the same time... in 10 minutes. Long, but very cleaver, nice upload! awesome. yeah. didn't know this existed. LOL!! 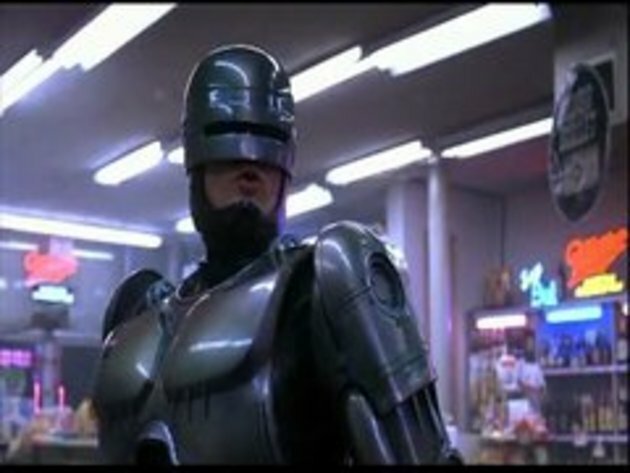 The robocop/Murphy guy looks like the singer from the other snotr video -"Average Male" or whatever it was called!!! LOL!! But without the mustache of course! This would be the next version of movie reviews. Excellent!! Great rap and great video, although a little bit out of sync. Anyways 5 stars!! Very nice indeed. Sums up everything as it seems, haven't seen the movie for a couple of years. I lasted 19 sek. What about you...? #5 "next i want to see 'Robocop in the hood'"
I am thinking more along the lines of "Don't be a menace to Robocop while drinking your gin and juice in the hood"
Inspired!! Rappers sound like Goldie Looking Chain. At least this Rap made sense, unlike some of the sh**e out there Can't wait for the Star Wars version. they should make a remake of robocop but with latest tech iN 3d!! !